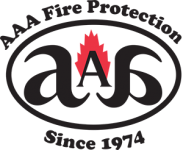 AAA Fire Protection Services offers complete commercial kitchen hood systems and services to Tracy and the East Bay Area. As a family-owned business, we have 40 years of experience helping companies comply with California fire code. We are an expert at UL 300 and help businesses with commercial kitchens meet the standard laid out in UL 300. We offer easy to access services such as restaurant hood fire systems and restaurant exhaust cleaning services and at affordable prices. Under UL300 exhaust hood filters must be airtight. That is why our grease filter exchange service uses 18-gauge galvanized, UL-listed, Grease Baffle Type Filters. In addition, UL300 requires that grease exhaust cleaning, including grease hood filters, occur twice per year by a professional company. We want to be that company. As such, we offer integrity and honesty to all of the customers whom we serve. Our professional team works when your business is closed. We do thorough cleanings without making a mess. For more information or to check out our affordable rates, just give us a call at (800) 543-5556.